SanJuanYachts was founded in May of 1998 in Anacortes on Fidalgo Island on the east side of the beautiful San Juan Islands in Washington State. 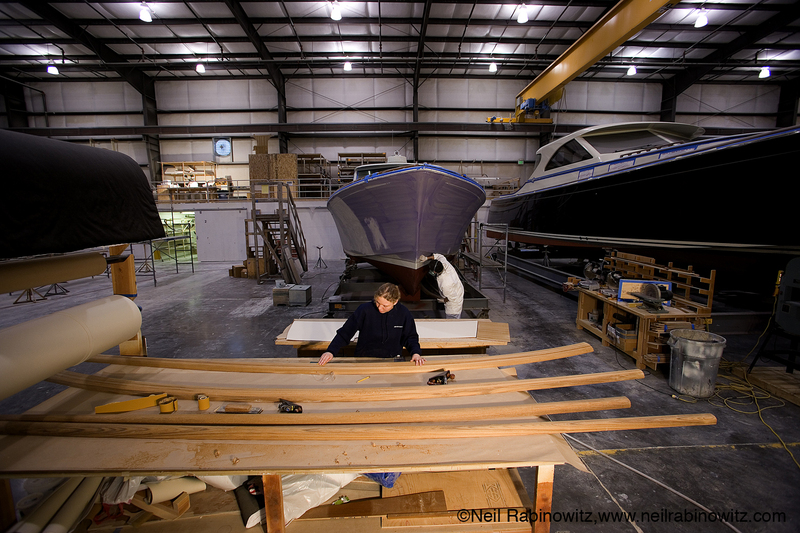 Our core group of Pacific Northwest yacht builders combine traditional and cutting edge boat building technologies providing hundreds of years of experience accumulated over many life times of dedication to the art of boat building. 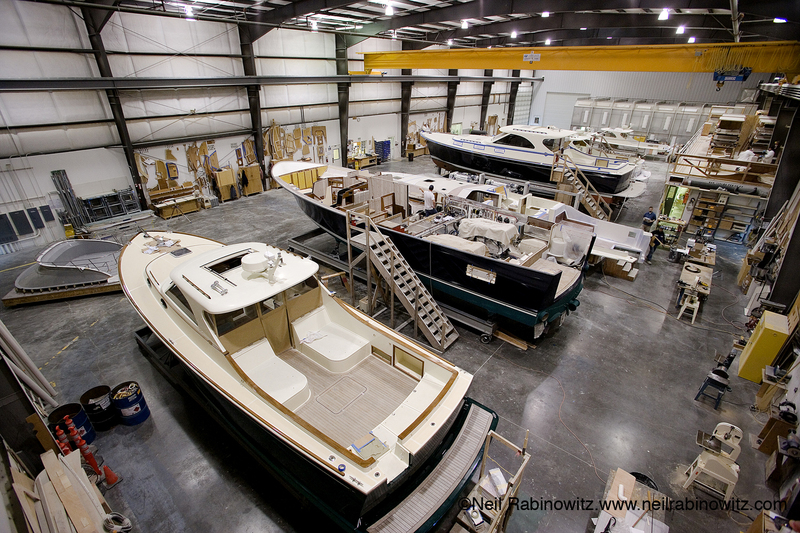 This talented team perform their craft in a state of the art, environmentally friendly 65,000 square foot boatyard located on 4 acres adjacent to Padilla Bay. 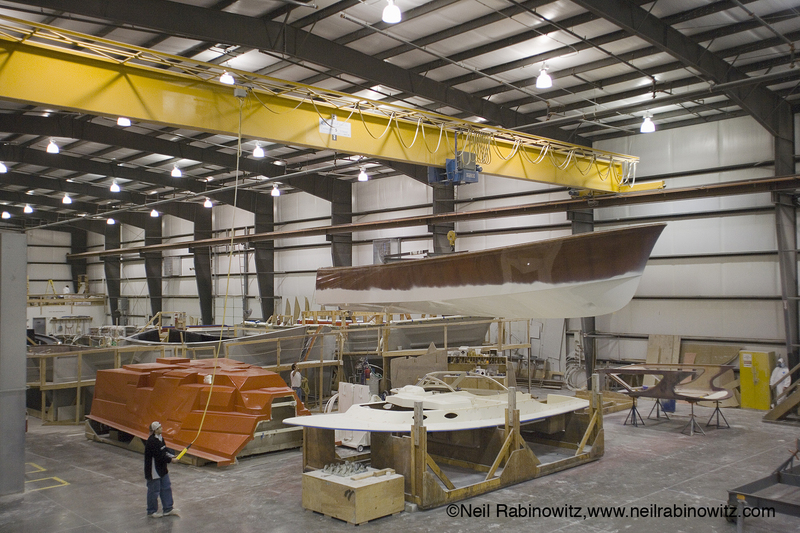 Our yacht construction buildings are equipped with overhead bridge cranes, radiant in floor heat and fire sprinkler systems providing safe, efficient, climate controlled and environmentally friendly work space. 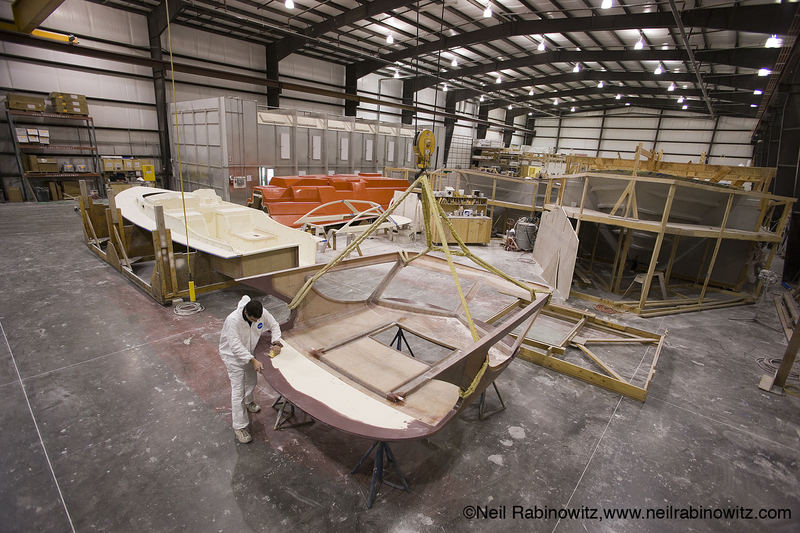 The focus of SanJuanYachts is the construction of high-end composite yachts utilizing state of the art production methods. Vacuum assisted resin infusion and 5-axis computer cut (CNC) tooling are used to yield high strength composite structures with unmatched accuracy. 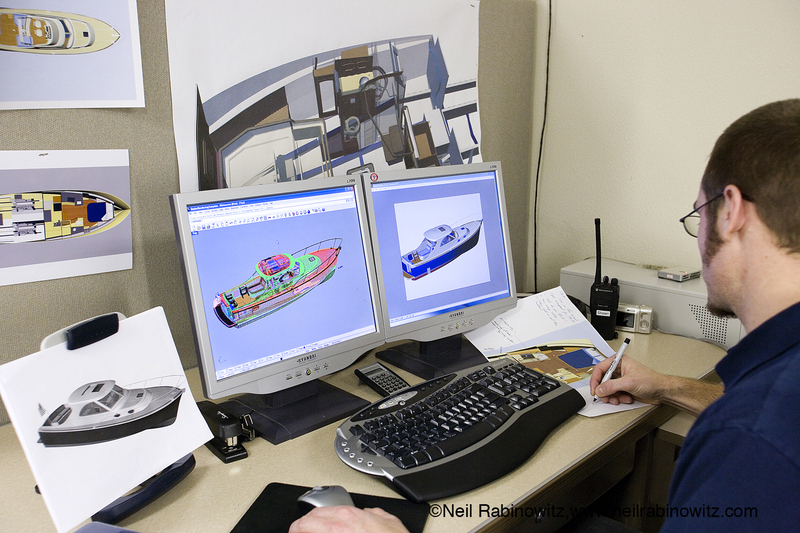 Our resin infusion process produces strong, lightweight parts and provides an improved working environment in addition to being friendly to the external environment. We have a 25,000 square foot infusion/lamination shop for building all structures with overhead bridge cranes for moving large parts. 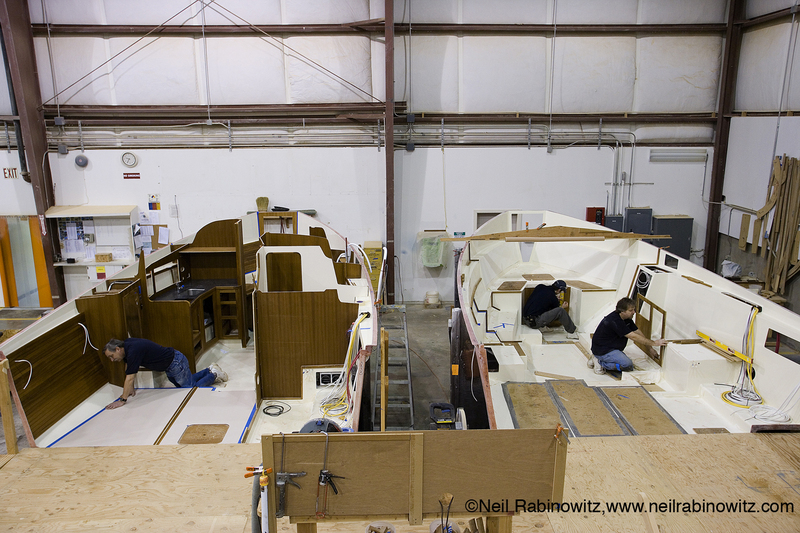 Small parts are built in a separate shop within the lamination/infusion shop. 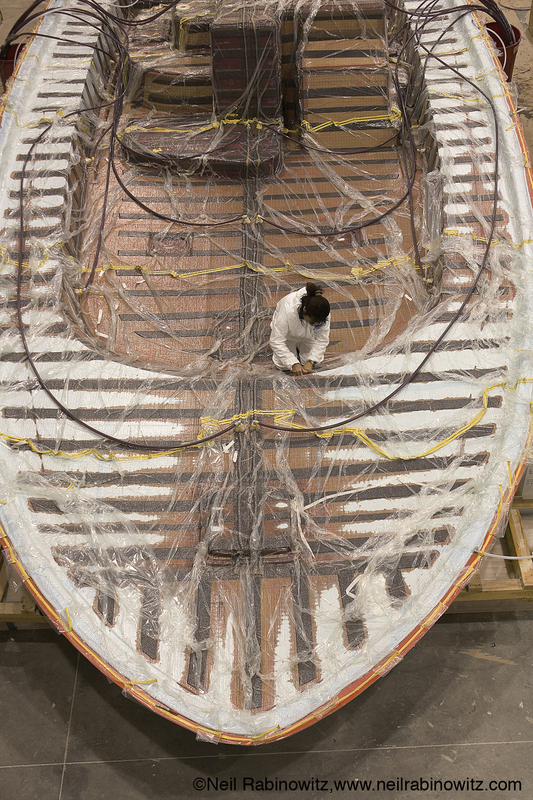 All parts large and small are body worked and painted to provide an exceptional level of finish. 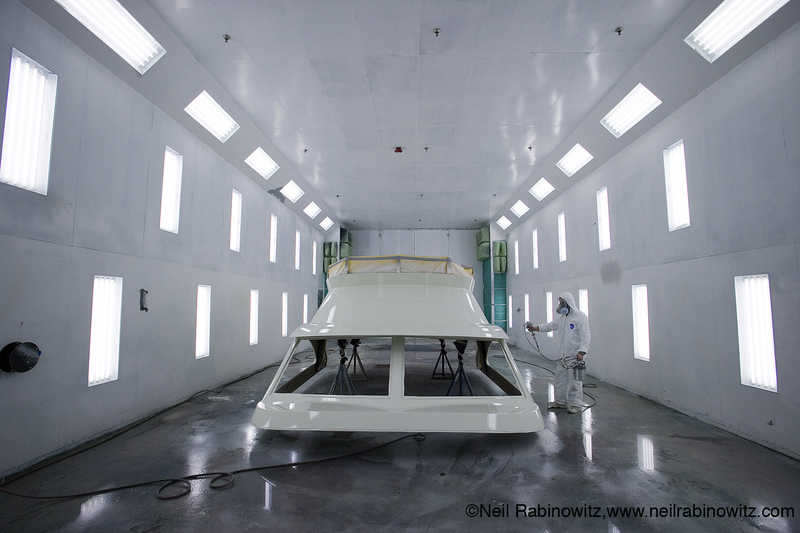 Our commitment to the environment and the highest finish quality in our industry is evidenced through our installation of two 60’ x 25’ x 18’ paint spray booths. 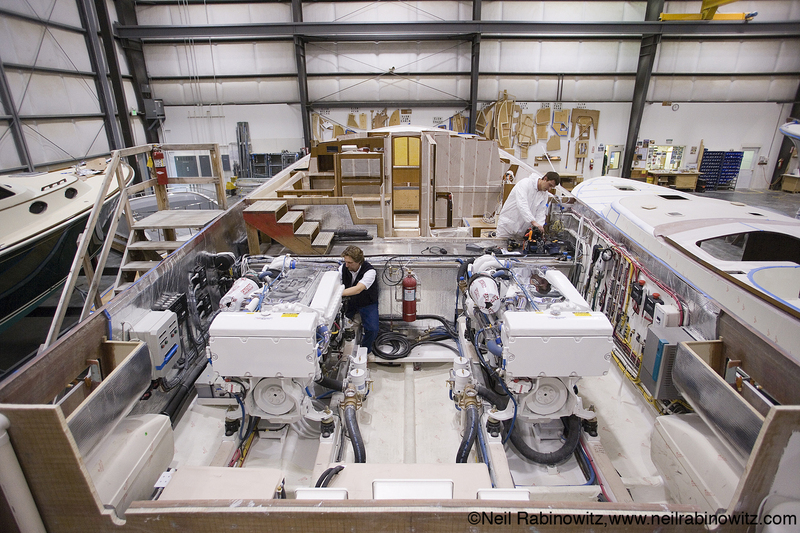 All joiner work is performed in our 11,500 square foot joiner shop with a dedicated clean room for interior varnish application. 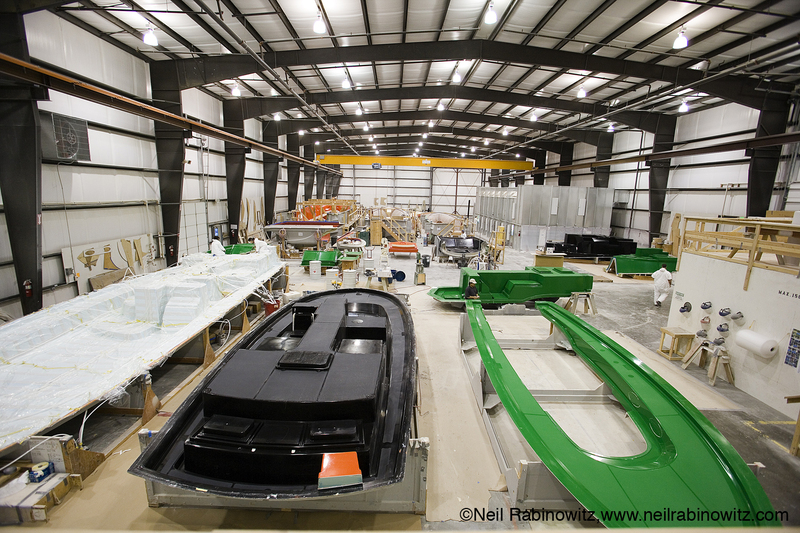 Yacht assembly, warehousing, service department and office space are located in our second 25,000 square foot yacht assembly building. 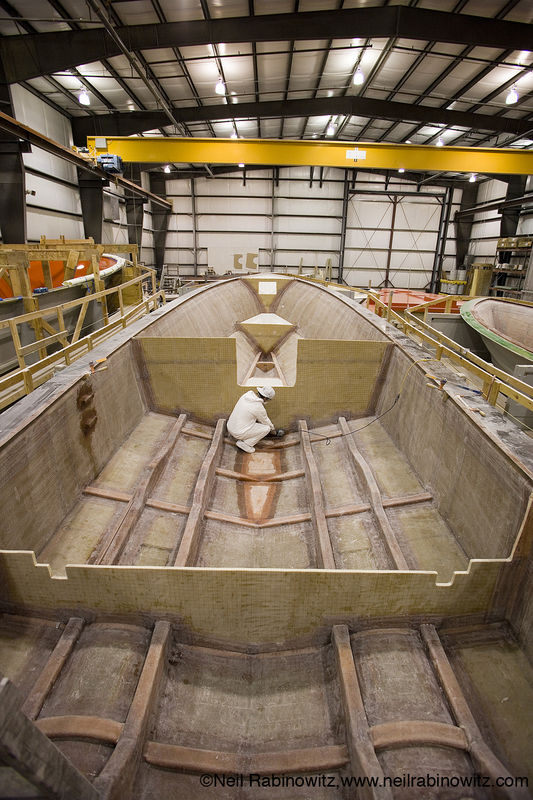 This building, along with our 3,500 square foot yacht storage building, are also used for service and maintenance on our SanJuanYachts as well as dry winter storage of our yachts.